Defense lawyer Stephen McConnell reviews the shame-on-business documentary The Bleeding Edge. There were few surprises: “We had been fully warned that the film was a thoroughly one-sided screed against the medical device industry….We also hear from ubiquitous plaintiff expert David Kessler, a former head of the FDA.” And see: our coverage back when of other one-sided documentaries including “The Hunting Ground” (college sexual assault), “Super Size Me,” the one on the (fraud-riddled) banana pesticide litigation, and above all the trial-lawyer-backed “Hot Coffee” (much more on which). After years in which his blog Abnormal Use has led the way in coverage of hot-coffee-spill liability cases, it finally happens to Nick Farr: he spills some on himself. Regardless of the merits of the short-pouring allegations, one particular allegation in the suit gave us pause. The plaintiffs allege that “Starbucks refuses to fill any hot beverage to the brim of the cup. Thus, under no circumstances will Starbucks ever serve a Grande Latte that actually meets the fluid ounces represented on the menu.” If we read that correctly, it sounds like the plaintiffs are actually suggesting that hot coffee should be filled to the brim of the cup to ensure that they are getting the full bang for their buck. We are guessing that had Starbucks done so, there would be a whole other class of plaintiffs clamoring for some massive hot coffee burn litigation. Maybe the plaintiffs should demand Starbucks use bigger cups and let the not filling to the brim policy stand for those who value safety. Changes in federal discovery rules effective December 1 [Mathea Bulander and Jason Moore (Redgrave LLP), Washington Legal Foundation] More: Jeff Bennion, Above the Law. Drinking coffee behind the wheel = distracted driving? The central issue was whether hot coffee, which by its very nature is hot, is an unreasonably dangerous and defective product because of its temperature. More specifically, the case concerned whether coffee served at 180-190 degrees is so hot that it makes the coffee itself unreasonably dangerous and defective. Shortly after the trial, The Wall Street Journal reported that McDonalds’ internal manuals at the time–produced in the litigation— indicated that “its coffee must be brewed at 195 to 205 degrees and held at 180 to 190 degrees for optimal taste.” … Contemporary media reports suggested that the coffee was approximately 165 to 170 degrees at the time of the spill, indicating that it had cooled somewhat between the time it was served and the time it had spilled…. 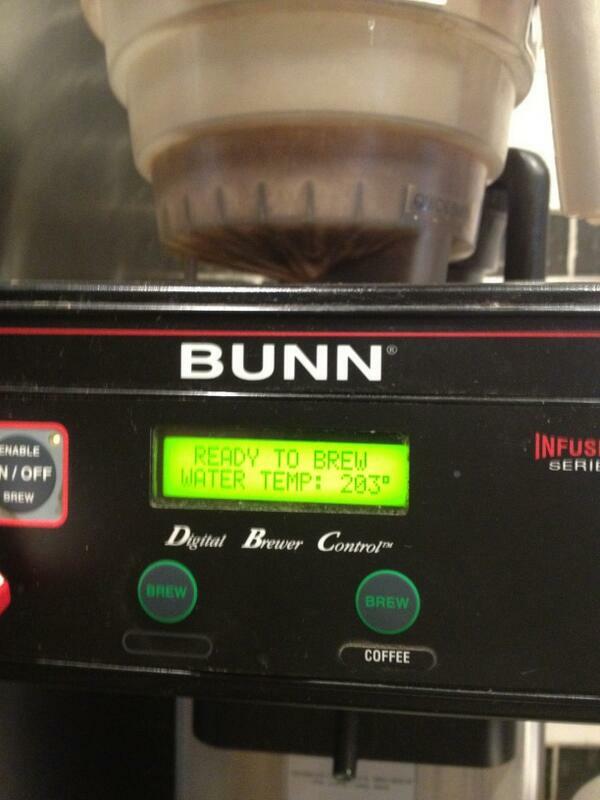 Interestingly, today, on its website, the National Coffee Association advises that “[y]our brewer should maintain a water temperature between 195–205 degrees Fahrenheit for optimal extraction” and that “[i]f it will be a few minutes before it will be served, the temperature should be maintained at 180–185 degrees Fahrenheit.” Even in 1994, the National Coffee Association confirmed that McDonalds’ serving temperatures were within industry guidelines (and many restaurateurs have found that their customers complain if they lower the temperature of their coffee). Earlier coverage here, etc., etc., as well as by Nick Farr at Abnormal Use and Ted Frank at Point of Law. (Yet more: index of Abnormal Use posts). * The story got onto national wires via the AP and immediately set off widespread public discussion on the strength of its own inherent interest, with no evident push from any interest group. When an organized public relations effort did emerge in early weeks of discussion, it was from the plaintiff’s side, which held a press conference in Washington seeking (successfully) to establish and solidify themes in Liebeck’s favor, such as that there had been many earlier consumer complaints about McDonald’s coffee temperature. * The most gripping supposed “myths of the Liebeck case” were not in fact widely asserted or circulated either at that time or since. Very few commentators erroneously asserted that Liebeck had been driving or that her car was moving, or (even worse) mistakenly claimed that her injuries were somehow minor. Only by treating stray outliers as somehow representative of public discussion can revisionists portray the public’s grasp of the case as grossly ill-informed. It was then and is now plausible for both laypersons and experienced lawyers to fully and accurately grasp the facts of the Liebeck case and, based on that understanding, sharply disagree with the New Mexico jury’s verdict in her favor. That’s one reason most American juries both before and since 1994, asked to decide hot-beverage lawsuits based on similar fact patterns and claims, have decided for the defense even where serious injuries might engage sympathy for a plaintiff’s situation. * Meanwhile, some truly extraordinary myths and misconceptions — such as that McDonald’s somehow mysteriously “superheated” its brewing water to temperatures unknown in home teakettle use — have widely circulated on the internet in years since, advanced by lawyers and even professors who have every reason to know better. Peculiar assertions of this sort seldom get attention in the oft-seen “myths of the Liebeck case” internet genre.